I feel like there's so much to say; like we haven't talked in ages. My six-year-old granddaughter draws a stick figure picture of herself running away from my son. In the picture he's counting down: Five, four, three, two, one. Bedtime. He posts that he has no recollection of doing this, counting down. I remember it. He and his brother are six, their sister, four. Me: Better be in bed at the count of one. There's a thrill to this intervention, despite the total lack of consequences. The magic of counting down to bedtime is that it is a competition. Can I beat the parent? Can I make it to bed before he says, One? And a kid needs a good reason to run, not walk to bed, because running is fun and walking is not, and it is much more fun jumping into a bed, feeling the fluffy pillows and covers receive you. "I love you. Now go to sleep." The primary care docs are compelled to prescribe the flu vaccine, and why not, it is cheap and sometimes effective. When it isn't effective, that's when everyone is up in arms, or shall we say, dead to the world, useless in bed. 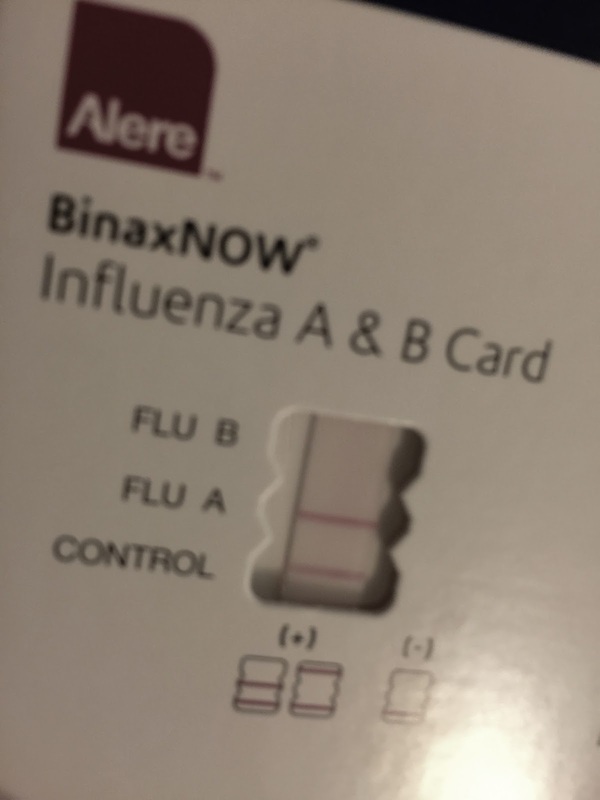 The season is almost over, but still worth advising that if you have a fever and flu-like symptoms, go to the doctor, not that he'll be paid, a topic for another day, but he can't charge you more than your co-pay. Certainly don't go to work to spread the joy. Or to therapy. It is February so all my SADS (Seasonal Affective Disorders) patients have been coming in. We're all good sports in the beginning of the winter, those of us who live in the midwest. In the beginning, in December, our skies are blue. But by now everyone's saying, enough already. The days are still too short, the nights, too cold. Brain feels frozen, landscape dirty, dull, like a futuristic movie. People are saying, "It doesn't know if it should rain or snow" and our cars beg washing, not that it will last more than a day. Oh! As Alan Sherman used to sing in Hello Mudda, Hello Fadda, about the kid complaining about malaria, the poison ivy and the weather at summer camp. Wait a minute, it's stopped raining. Guys are swimming, guys are sailing, playing baseball, gee dat's better. Mudda-Fadda kindly disregard this letter. It IS sunny out there, and a toasty 50 degrees! But since we've started, let's finish up. SADS sufferers have to fool the brain. All that light therapy, do it, spend the money on electricity in the winter, turn on everything that holds a lightbulb, anytime you're home. Raise the shades, open the blinds. And take up one of those health club offers to try the machines on the cheap for a month, even a week, if that's all they give you, but pay in cash so they can't keep your credit card. The fine print is blinding. Then quit when the weather gets warm, get outside and see what's green. Or take someone mud-sledding, now, before the snow is completely gone. Most people don't know this about me, but before I get out of my car, before I leave the office to head home, I peek outside and look around. Basically I'm worried that someone will want to kill me for no reason. Not that the neighborhood is bad, it isn't. But if you hear enough neighborhood lore, or read the local news police blotter, you can become hyper-vigilant. Secondary trauma. Last night, seeing the sidewalk clear of dangerous-looking citizens, my car dusted with new, wet snow, I reached into the back seat and grabbed a new retractible snow brush. 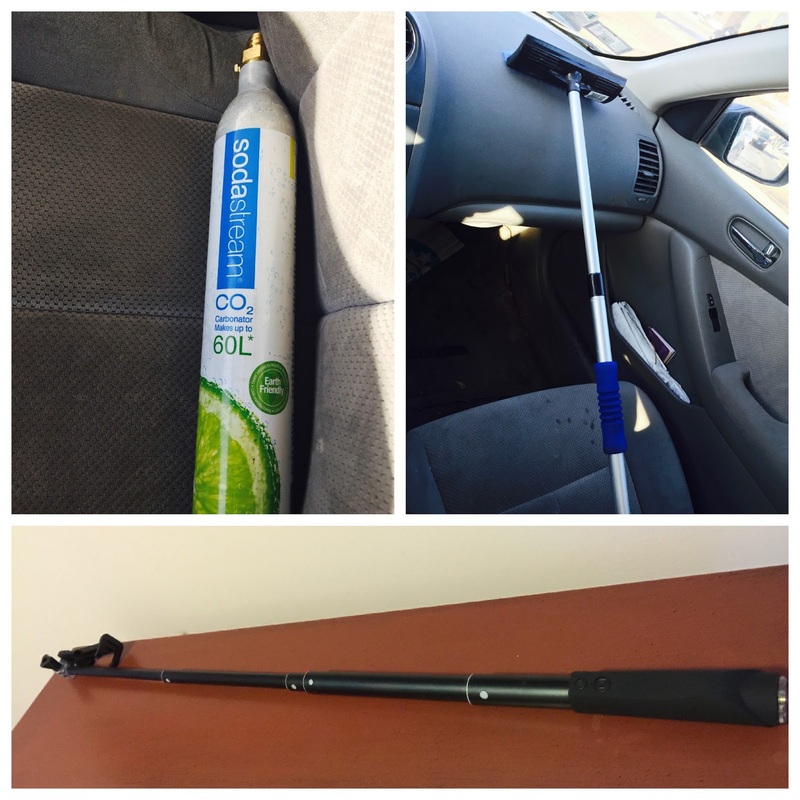 When I flipped it across the windshield, the brush extended easily to the width of the car. Snow drifting in my face, I felt I'd emerged from work victorious, waving the snow brush high into the air, daring the traffic or anyone on the street passing by. Ditto, the selfie stick. On a vacation we rented bikes, stopped at the beach to take a picture. The stick whips out to three feet, maybe more. Light-weight, FD declares that a slap from one of these will hurt. He's reading my mind. One more. This time it is a Soda Stream canister. The slim canister that makes the fizz has lost its CO2. I take it into my hand, really feel it before exchanging it for another at Target, my grip naturally testing the weight. The shape, the feel, it is powerful, wieldy. In the spring, when we ride bikes to work, it will be the titanium lock that magically saves us. Something a coyote won't forget, is what I tell FD, who nods empathetically. Feeling quite dead from the first few snapshots, this book appealed to me. 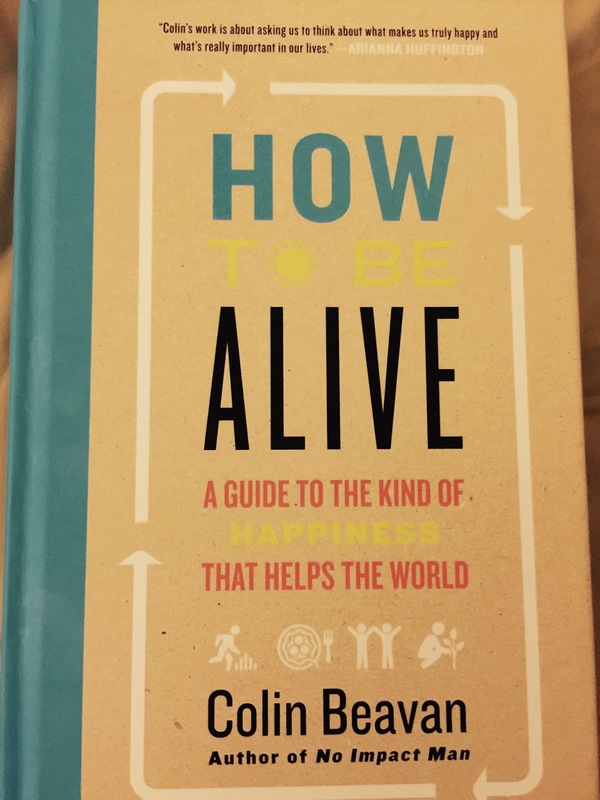 Colin Beavan (he's been on Stephen Colbert, enough street cred for me), thinks that most of us merely go through the motions, don't live the life we want to live. You could say that therapy is all about that, finding ways to live life, in a way that we feel it, feel alive. Nobody's happy all of the time, after all. We get a few minutes a day if we're lucky, and have to work at those (says your therapist). We know some of what works, what is tried and true. Hey, anyone want to come for potluck dinner? 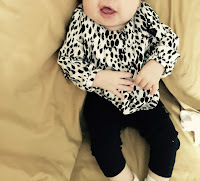 Colin will tell you these thing effect the world, your smile, the one inspired by the baby's smile, spreads a wave of goodness into the ecosphere. The potluck dinner, because there are multiple good vibes buzzing into the cosmos. His new book is an attempt at debunking the myths most of us buy into, the ones that keep us (his opinion) from doing what we would really want to do. Whether it works for you will be a personal thing, because How to Be Alive recycles (appropriate for a book designed to help the world) what self and cognitive psychologists have said before. Yet he offers so many different stories, metaphors, and examples, that you have to learn something new. And he squashes irrational thoughts like gnats. So this is a non-sequitur, but speaking of gnats, a year ago January I started my first herb garden ever, little pots on a window sill; the yield amazingly, shockingly successful, a jungle in the kitchen. But by summer the house was inundated with midges, little bugs that land on white shirts. They look and act like gnats. But we still had a lot of basil and dill, so could only complain so much, and handed out plants first come, first serve. That's being alive. Getting back to that book, it could have titled Green Therapy. 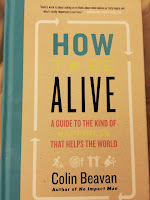 But How to Be Alive: a Guide to the Kind of Happiness that Helps the World has so many more key word. You might remember a story somewhere on this blog, about the people in the park, and dogs off their leashes, me, and maybe you, too, on bikes, becoming a part of that ecology. It is one way to connect with the world. Your life is equal to all of your relationships added together. All of your relationships together are equivalent to your relationship to the world. Therefore, your life is equivalent to your relationship to the world. And what happens in the world, affects you. Therefore, you are important to the world and the world is important to you. So make a dent, he's saying. Or grow something other than roots and give them away, maybe develop a community garden. Or a community compost. Or both. There's a story on that. Recently a reader wrote to thank me for universalizing her problems, for reminding her that she's not alone, not the only one who finds life difficult, who has bizarre thoughts or brain twists that no one else seems to understand. We all have bizarre, irrational thoughts. See above. The letter got me thinking, however, looking up statistics. 1 in 5 adults in America experience a mental illness. Nearly 1 in 25 (10 million) adults in America live with a serious mental illness. 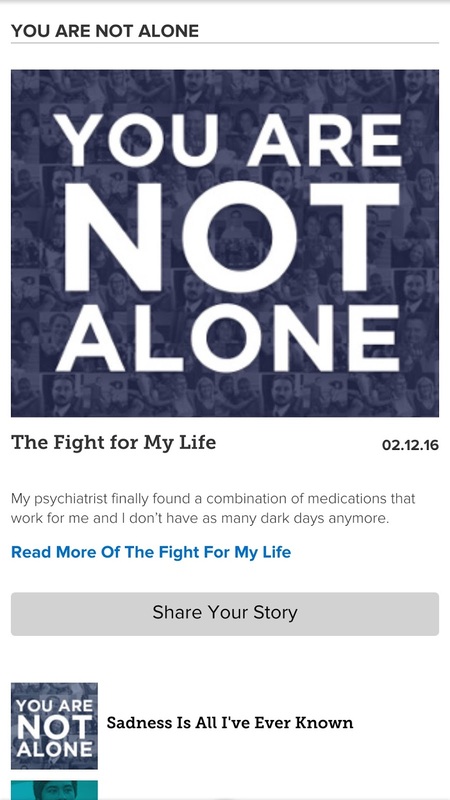 1 in 100 (2.4 million) American adults live with schizophrenia. There are many more statistics like this. My friend, you are not alone. The one that blows my mind is that nearly 60% of adults with mental illness had no services in the previous year. Did we notice? I think we did. 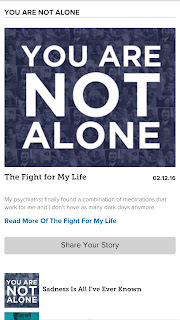 Visit to the NAMI website for resources and more stories. And write to your governor if you don't like how he's balancing his budget. The Mental Health and Safe Communities Act , S.2002,or Cornyn Law is waking us up to what goes on in jails and prisons. We know about homelessness, that the chances that the woman in the park, the one in the sleeping bag, might be suffering a mental illness or addiction are high. Most of us don't know, however, that a quarter of our prison population has a recent history of mental illness. It isn't all about sociopathy, which is what you would expect. They have garden variety depression, anxiety, and psychoses. And being in jail aggravates it. And naturally, we pay to take care of the treatment, which every prisoner wants, because it gets them away from other prisoners. So while the healthy but sociopathic fake it, resources are squeezed for the truly ill.
National Criminal Justice and Mental Health Training and Technical Assistance Center. Here recruits learn to recognize mental illness, steer future "convicts" away from federal custody, and divert them o community social services. In a perfect world. 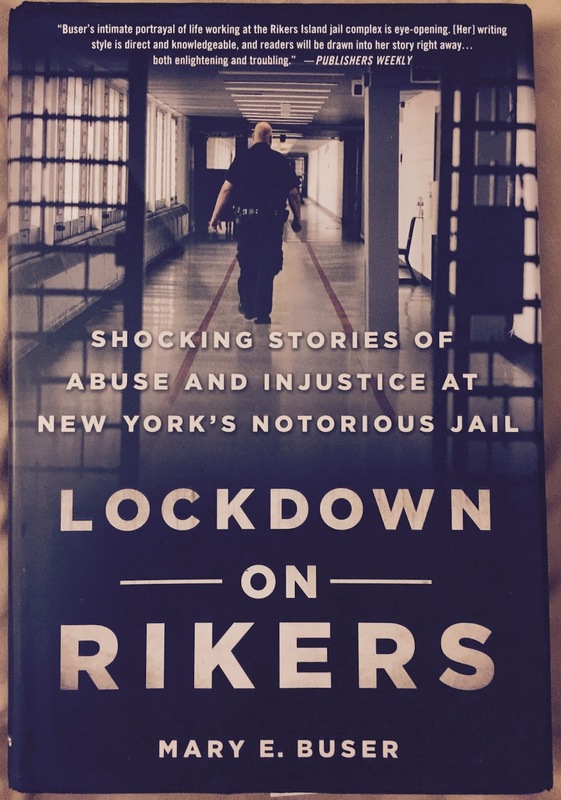 Mary E. Buser's book, Lockdown on Rikers reads like a diary, what it's like to be a social worker at the famed Rikers Island, New York City's jail. Buser exposes the tragedies of the system, the pain of inmates who might be innocent but can't afford bail, who wait for months on end, sometimes years, for a day in court. A plea bargain gets them out, but with a record. At the jail, waiting for the hearing, innocent men and women miss visits to sick relatives in the hospital, funerals. They can't help their families financially, too many cases for the system to process. You'e seen The Good Wife, Law and Order. You read about them and wish that the varied stories about Rikers are exaggerations. Solitary, by the way, is hell. As is the flu, but hey, wait a minute, it's stopped raining. That was a lot, but March will be busy for me, and I forgot to mention Vessels, a love story I promised to review. You think it is a love between a couple, but the story is much more mysterious, more cryptic than that. 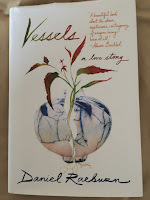 Written like poetry (the kind you actually get), rich in paradox and metaphor, VESSELS is a story about art, an artist, and bad breaks, and keeping a marriage together under the most trying of circumstances. I've already given too much away. Daniel Raeburn teaches non-fiction writing at the University of Chicago. Just one more thing, bear with me. 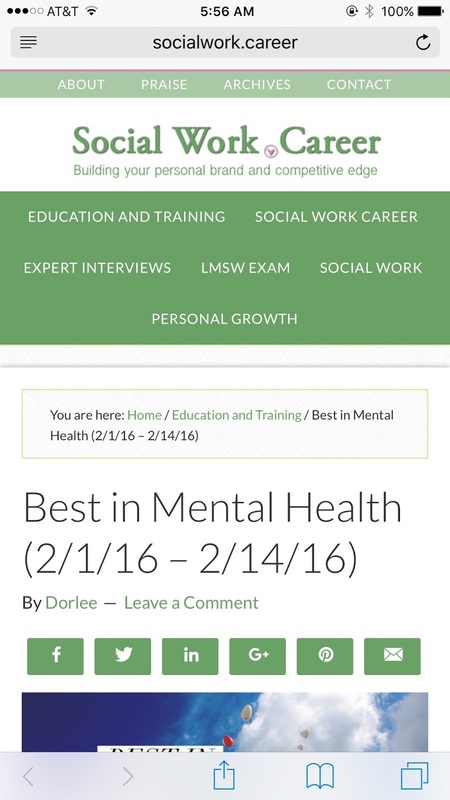 For links to therapy experts, check out Social Work Careers. I admit to sometimes Googling people, if not after they make an appointment, then before. It helps knowing the public profile, what people are trying to present to the world, as themselves. Working downtown, some prefer to go to therapy on their lunch hour, then go directly home. Because seriously: Can you simply change the channel, switch from sharing things so personal, to attending to what matters most to your boss? It is an art, switching channels, one honed with time and experience. Rabbis and other men and women of the cloth do it when they run from a funeral to a wedding. Therapists do it when they're seeing eight patients in a row to make some money. We get good at disengaging from the last patient to focus on the next. In a matter of minutes, maybe seconds. A friend asked me for a recommendation, a therapist he could see downtown, maybe on his lunch hour. I remembered a short list buried in my email and forwarded him the names. But we were together at a kids' basketball game, watching the home team get clobbered. So I Googled a few of the referrals. 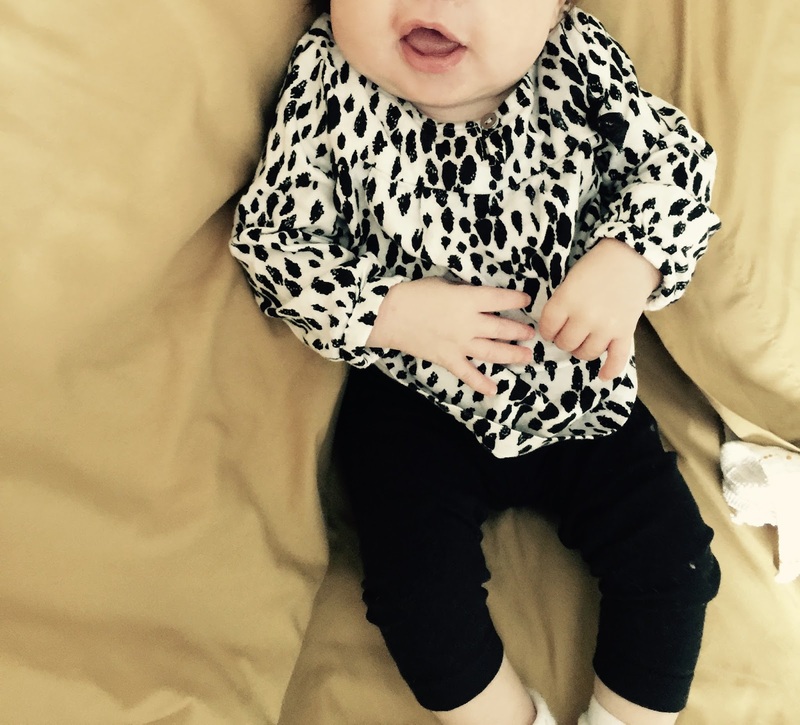 One therapist seemed to be about my age, and I marveled at her accomplishments. She is on the faculty of a prestigious university, does research with the homeless, and has a private practice. She's also a bit expensive. When I showed my friend the bio with photo, he balked. He says it is possibly ageism, but he wants someone younger, more likely to relate to the issues of his generation. This gives me pause. Do we really age out? I'm quiet. The incident gives me a reason to Google myself, something we're told we should do every few weeks, but only true narcissists do. But who knows what kind of negative stuff is on Yelp? My search finds an interview foreign to me. The printed words are definitely mine. It is an online issue of a major newspaper. The final cut has never come to my attention. Or have I just forgotten? Random people call you up, ask if you will take 15 minutes to chat about a particular subject, and you say, Sure, sure, why not, and before you blink it is over and that's the last you hear from them, no matter how intricate the questions, or how thoughtful the answers. It graduates to an out of sight, out of mind, thing. You just forget. In this case we had discussed romance and intimacy, getting the most out of a loving relationship, this being that time of year, February, Valentine's Day. It is worrisome, the thought that I might have seen the interview, read it online, and yet it is totally gone from my long-term memory. Maybe my basketball loving friend is right about aging. Or maybe it isn't aging so much as very full days. When I go on vacation it is all about not returning calls. The whole interview business reminds me that putting one's self in the public eye, whether on a blog or talking to a reporter between patients, makes you ripe for abuse, thought snatching and misinterpretation. Students plagiarize. They're karma, you used to say. Why care? And there are apps that help you find where your words have gone. I discovered Dupli-Checker. You don't have to download anything. But now it bothers me, the paranoia. Old people get that, not me. So people my age not only aren't in touch with young people, but we're likely to get paranoid, too. Wait a sec. Do therapists get too old to relate to younger people? We have to address this, argue the assumption. Each of us lives in a dense forest. And in this forest are multiple, mostly hidden reasons for our pain and suffering. The answers are there, too, the better responses to situations, challenges, solutions we have yet to consider, wouldn't even think to consider. The forest contains every variable necessary for a good, no, a great therapy. Yet almost all of them are camouflaged, like the spiders, rabbits and other small animals in the forest, the birds in the trees. The older we get, as therapists, the quicker we see the spiders, the webs, the rest of what is hidden. The older we get, as therapists, the better we see what other people, even younger therapists, can't see. We'll take notes, naturally, to remember.